Come hear how Code Contracts provides a set of tools for design-by-contract programming and how Pex is an advanced unit-testing tool that uses automated program exploration to intelligently create unit tests with high code coverage. See how they work together so that your code has fewer defects. 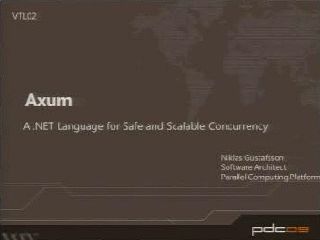 Learn about new features for Code Contracts including automatic documentation generation, call-site checking for components and reference assemblies for the .NET Framework and for Pex including a light-weight mocking framework, improved support for large code bases, and more thorough test input generation.